The best examples have been increasing in price for some time, but it’s still possible to pick up this icon of the ’90s in good order from as little as £3000. 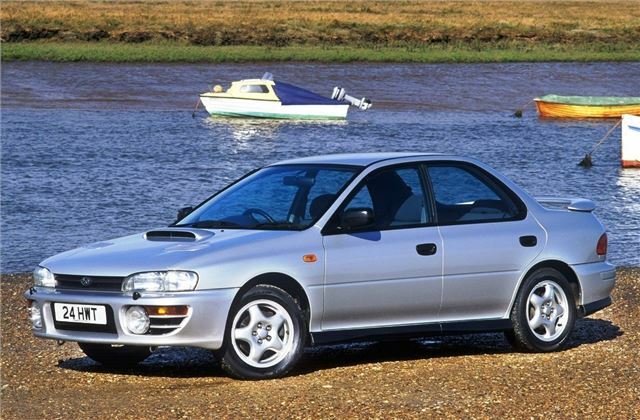 And with 208bhp to play with, plus all-wheel drive grip, the Impreza Turbo is one of the most entertaining cars of its era. Launched in 1994, the ‘blown’ Impreza marked a major turning point for Subaru, a company previously known for its farmer-friendly offerings. Top speed was 137mph, while 0-60mph took just 5.8 seconds. If you haven’t yet owned one, now’s the time.